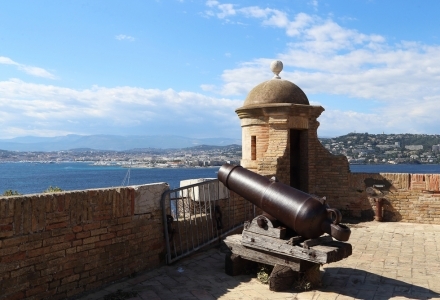 Embark on an exciting cruise stopping at Ile Sainte-Marguerite just off Cannes. Covered by national forest dominated by the Fort Royal, this jewel in the crown of the Iles de Lérins is home to a rich natural and cultural heritage. Departing from Mandelieu-la-Napoule or Théoule-sur-Mer, just a few minutes at sea is all it takes to reach this exceptional location where nature, culture and relaxation combine. From the minute you arrive, you’ll notice the scent of pines and eucalyptus, the beautiful countryside and the serenity of the location. Take to the signposted trails and discover the botanical and historical riches of the island. Stroll along the banks of the Batéguier pond to observe migratory birds and then to the Pointe de la Convention to admire its remarkable flora. Make the most of your trip to Ile Saint-Marguerite by visiting its restaurants, cultural sites and taking part in diverse leisure activities! Use of drones is prohibited on the island. Visit the famous prison of the Man in the Iron Mask! Built in the 17th Century by the Spanish, the Fort Royal was fortified by the French army and reinforced during works undertaken by Vauban (French military engineer). Since 1637 the fort functioned as a military base with a prison that would remain in use until the 20th Century. The Fort Royal accommodated the former state prisons and the cell of the Iron Mask, where the mysterious prisoner was kept for eleven years. When visiting the fort, passing from cell to cell, uncover the history of the prison and its inmates through wall paintings by Jean Le Gac. Guided tours of the fort available from June to September. Situated within the oldest part of the Fort Royal, the Musée de la Mer is an archaeology museum of underwater and land relics built in 1977. 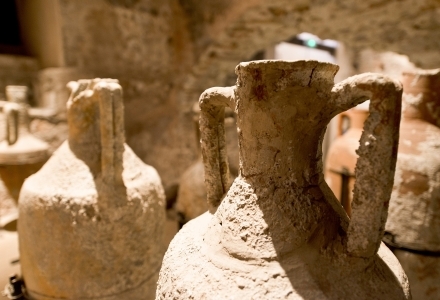 In the Roman tanks and on the first floor of the building, you will find a vast collection of archaeological relics, from land excavations as well as Roman and Saracen wrecks off Tradelière and Batéguier: fragments of wall paintings, ceramics, cargoes of amphorae and glass etc. See also the temporary exhibition space which opens onto a large terrace with magnificent panoramic views over the Côte d’Azur coastline. Explore a natural and protected site! The Ile Sainte-Marguerite is home to an incredible biodiversity from both sea and land. Listed as a Natura 2000 site for the richness of its natural heritage, the area has Biological Reserve status issued by the Office National des Forêts. Make the most of your trip to Ile Saint-Marguerite by exploring the signposted trails. In the heart of the forest of Aleppo pine and eucalyptus, along the edge of the Batéguier pond and at the Pointe de la Convention, discover the remarkable biodiversity of the rich natural environment. Maison Forestière organises guided tours for groups all year round. Walk in the footsteps of Napoleon! Situated at the easternmost point of the Ile Sainte-Marguerite, the Batterie de la Convention is a military building built in the 17th Century by the Spanish during the 30 Years’ War, and then redesigned in the 18th Century under Napoleon. During this period, the building was equipped with 12 cannons. A little further away, at the Pointe du Dragon and Pointe du Vengeur, don’t miss seeing the two ovens for heating cannonballs. Built in 1793 by order of Napoleon, they were used to defend the island against the threat of foreign ships. 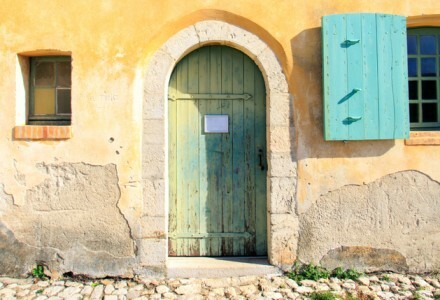 Housed within the listed building of the Fort Royal itself, close to the famous cell of the Man in the Iron Mask, the Éthic Étapes Centre offers bespoke stays for groups, families, individuals and business colleagues. Far from the bustle of the town, in a place full of history and legends, you will stay within the former barracks of the Fort Royal. 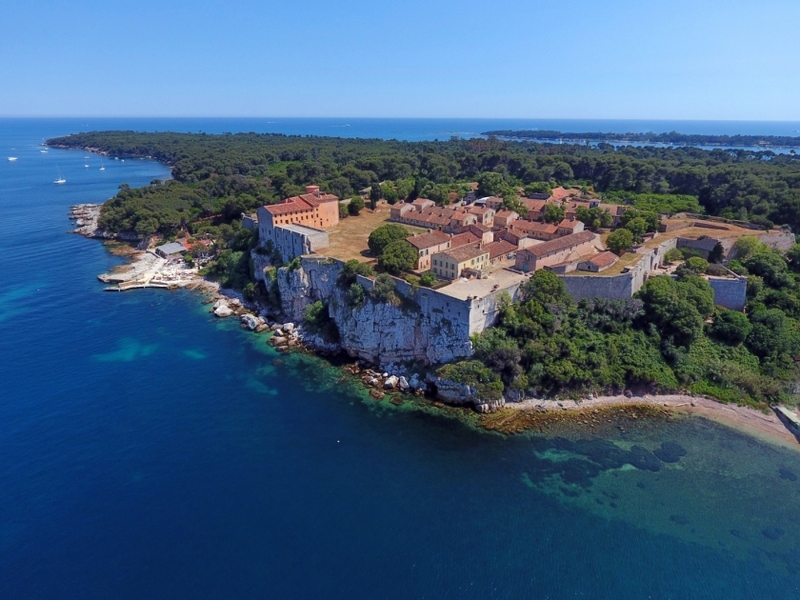 In order for you to explore Ile Sainte-Marguerite, the Centre provides an array of leisure activities: Fort Royal tour, environmental awareness events and sporting activities (windsurfing, sea kayaking, archery, climbing etc.). Visit a place of memorial! 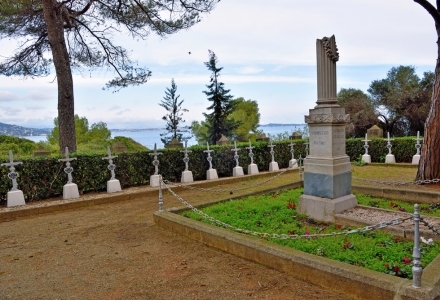 The Ile Sainte-Marguerite is home to the Cimetière de Crimée which pays homage to the soldiers of the Crimean War (1854-1856). When visiting the Fort Royal, be sure to include a trip to this little cemetery with its stele erected in honour of the soldiers. A truly peaceful haven overlooking the Mediterranean. Located just a few metres from the sea, on the same side as the Fort Royal and not far from the wharf, the cemetery houses the graves of some 30 soldiers. Soldiers wounded in the course of battle were lodged at the fort for treatment.